One of my other goals is to declutter the house once a year, so I think this one fits in quite nicely with it. Now anyone who knows us will know that we have a lot of ‘stuff’. I think it drives my parents mad whenever they come to stay! Despite the fact we tidy, the house always looks full. I just reckon we need a bigger house with better storage solutions! 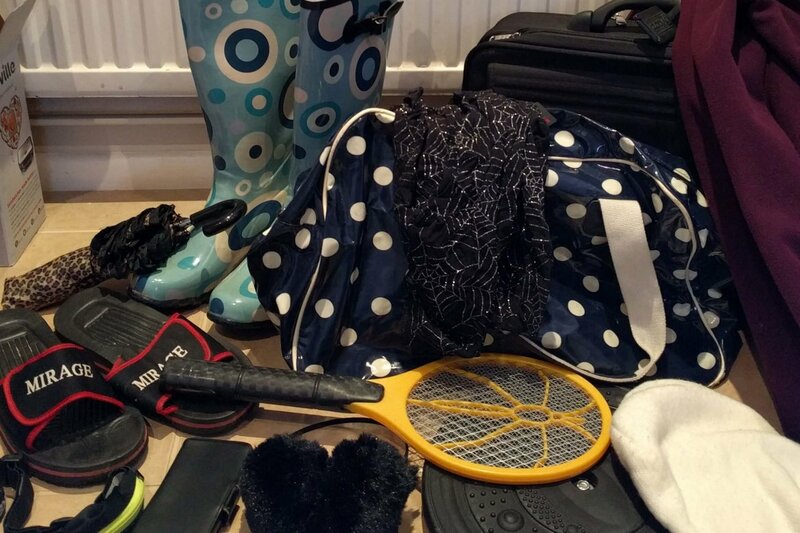 Anyway, I’ve slowly been decluttering the house for this year, a bit of a spring clean, and I’m either throwing things out, selling them, or sending them to the charity shop. I found that this task has made me really ruthless. I wanted to make sure I completed it. 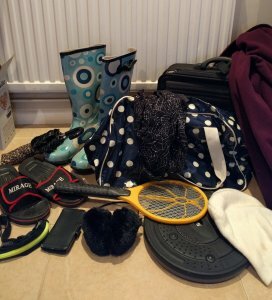 101 things seems quite a lot to find at the beginning, but actually when I looked at it, I managed to get rid of a lot of clothes, not just mine, but Chris and Isla’s as well, which really bumped up the numbers. Particularly as I was so keen to finish it as I was nearly reaching 101, I put things in the charity shop pile that had been sitting around for a while under the label of we’ll use it again one day. But it hadn’t been used in such a long time that I decided what’s the point! I’m not too sure how happy Chris was about it all. I would often send him a steam of photos while he was at work asking him if I could charity shop a load of his things! To be fair to him, he let me send about 50% of them to the charity shop. It has also spurred him on, as even though I have completed this task, he is still sorting things out to send to the charity shop. I have sent a further 2 bags since, and probably have another one still to go. 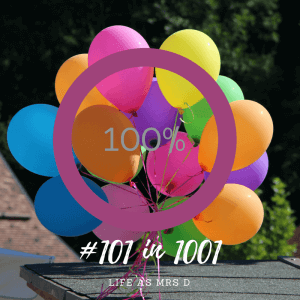 I think this was a really good task to add to my #101in1001, as it not only helps us sort our house out, but it is also giving to charity, which helps others along the way. I might try to do this every year, it will certainly help me work towards my other goal of decluttering the house a bit. Have you ever set yourself a target or a certain number of things to send to charity? Does it inspire you sort things out more?